In its 18th edition of its Supervisory Highlights , released Tuesday , the Consumer Financial Protection Bureau (CFPB)  identified four areas of supervisory activity at mortgage servicers as well as servicers’ response. The report covers supervision between June 2018 and November 2018. The CFPB found that at least one servicer charged borrowers greater late fees than allowed by the mortgage note. The bureau identified “programming errors in the servicing platform and lapses in service provider oversight” as the causes for the overcharges. Servicers responded by identifying affected borrowers to resolve the issue as well as changing policies to ensure borrowers are not overcharged in the future. Next the CFPB said in its Supervisory Highlights that it identified cases where servicers did not exercise “reasonable diligence” in acquiring sufficient documentation to complete loss mitigation, as required by Regulation X. After approving short-term forbearance, the servicers identified did not advise the borrower that further documentation was necessary to complete full loss mitigation procedures. After receiving notification from the CFPB, the servicers identified the affected borrowers and notified them about other loss mitigation options that could be possible with additional documentation. 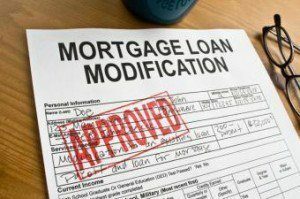 The last mortgage servicing issue covered in the Supervisory Highlights dealt with Home Equity Lines of Conversion Mortgages (HECMs) in the case of a deceased homeowner. When a homeowner with a HECM dies, his or her successor must pay the loan balance in full if he or she wishes to keep the home, or the home will be foreclosed. Successors may, however, file for extensions on the loan balance. In some instances, successors received notices specifying the documents necessary to file for an extension on the loan balance due but did not include a deadline for the documents. Alternately, some successors were not notified of all the documents necessary to file an extension. The bureau also issued a statement in September regarding its practices when dealing with consumers and institutions affected by natural disasters.